This morning, Archos announced the next rendition of its GamePad line, the GamePad 2. The original GamePad hit the market in America this past March, after being shown off at this year’s CES in Las Vegas. We got some hands-on time with it, but walked away somewhat unimpressed by its low-power processor and less-than-inspiring 7″ display. The GamePad 2 is Archos’ attempt at reinventing the device, and so far, it is looking like a major step in the right direction. For starters, it does feature a decent quad-core processor, clocked at 1.6Ghz with 2GB of RAM and running a clean version of Android 4.2 on top. In addition, they have upped the display quality, going with a 7″ IPS display with a resolution of 1280 x 800. On top of the updated specs, the overall look is better, with a coat of black paint covering the device, instead of the cheaper grey color they used before. While the specs paint a much better picture for gamers than the first GamePad model, we shall see how the market reacts to another Android-powered mobile game console. 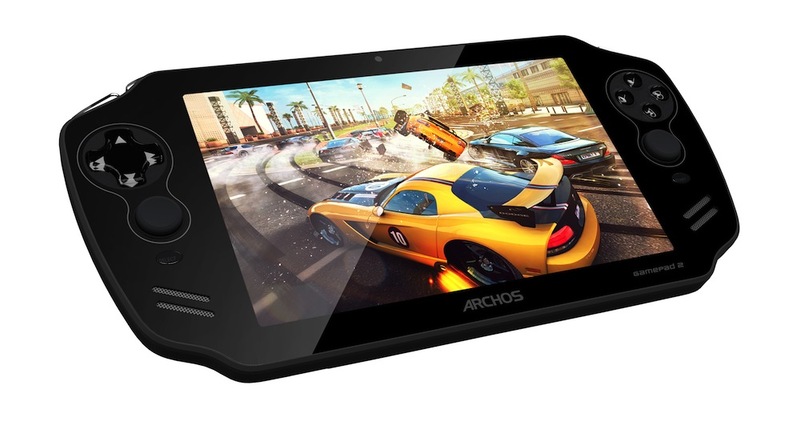 Archos states the device should hit the market in Q4 of this year, priced at $199.99.